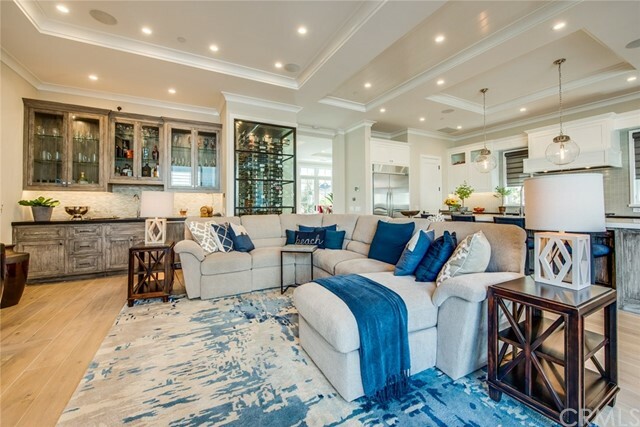 Completed in 2015 by Patterson Custom Homes, this exquisite coastal residence in the guard-gated community of Bayshores in Newport Beach. 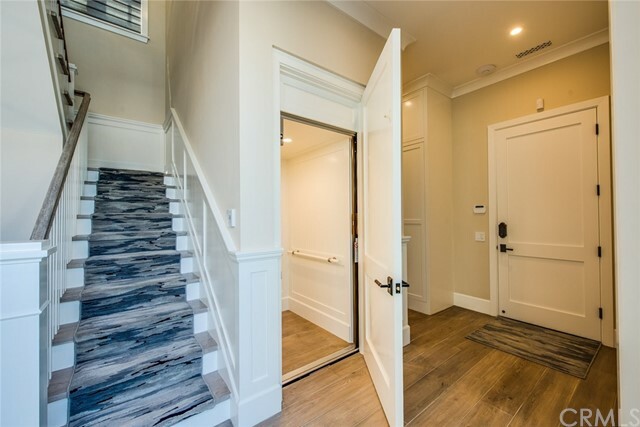 Four bedrooms and four bathrooms including an elevator. 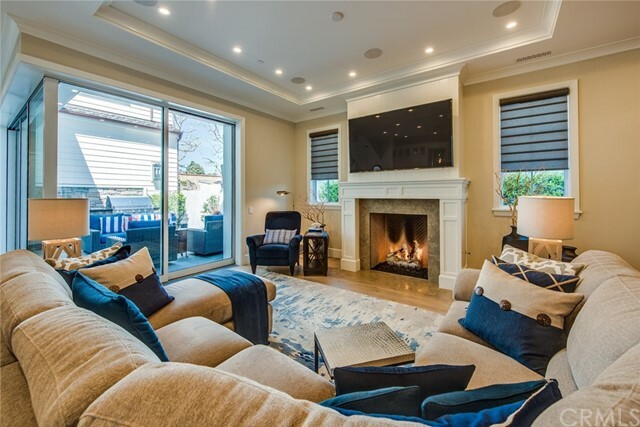 A formal living room with a gorgeous limestone fireplace and a formal dining room. 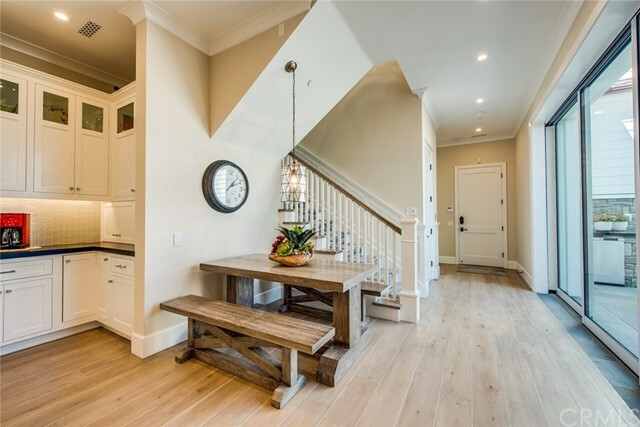 Floors throughout the home are custom-stained white oak. 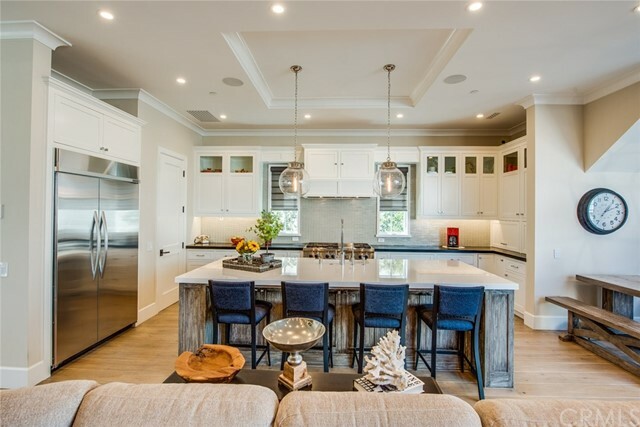 Open-concept gourmet kitchen features granite counters, white cabinets, and stainless steel appliances, including a double oven and a six-burner gas range a whitewashed island with white quartz counters, opens directly to a stunning family room that includes a wet bar and wine cellar with reclaimed wine barrel wood flooring. 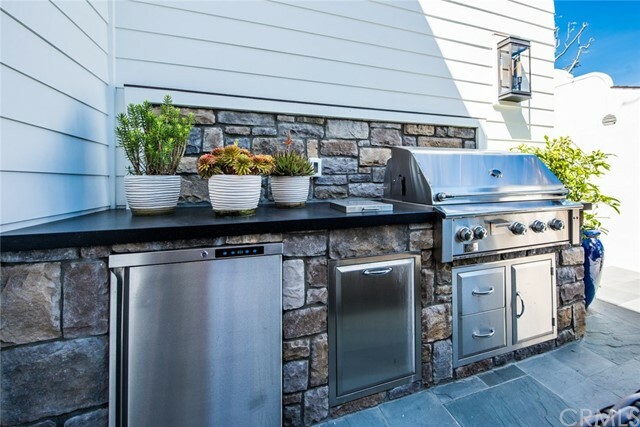 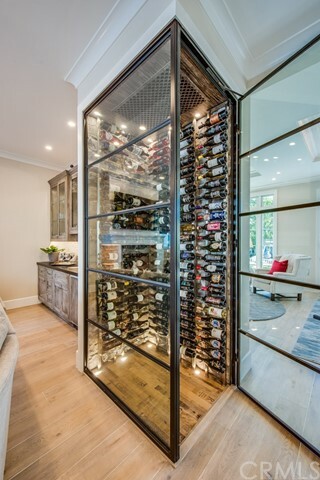 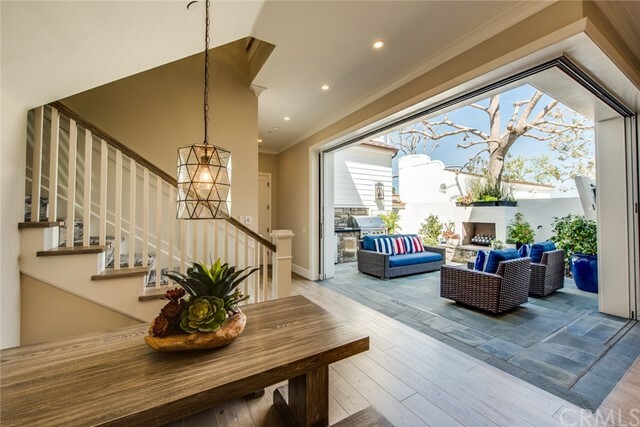 Floor-to-ceiling retracting glass doors give way to a comprehensive outdoor living area, which includes a built-in barbecue with granite, an outdoor TV, a fireplace and a shower. 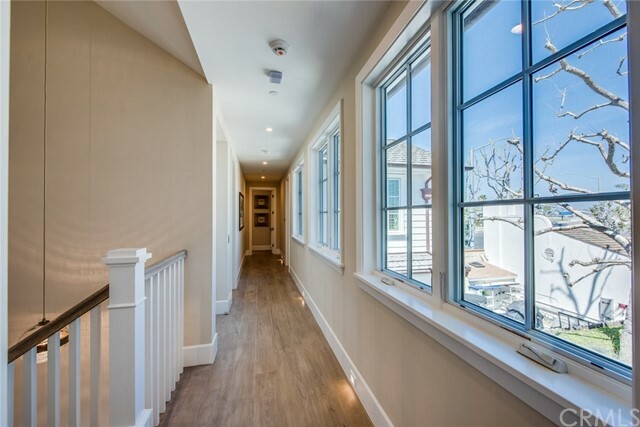 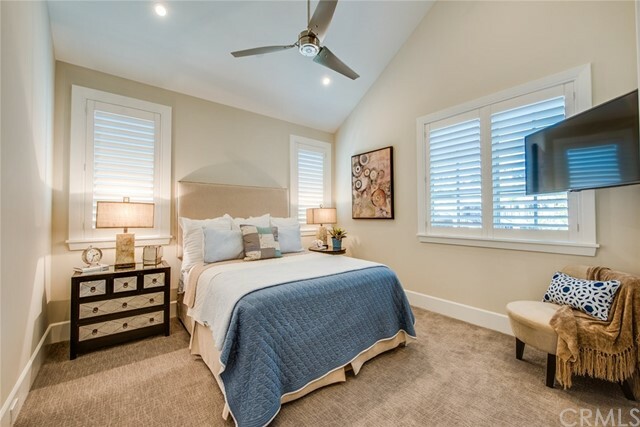 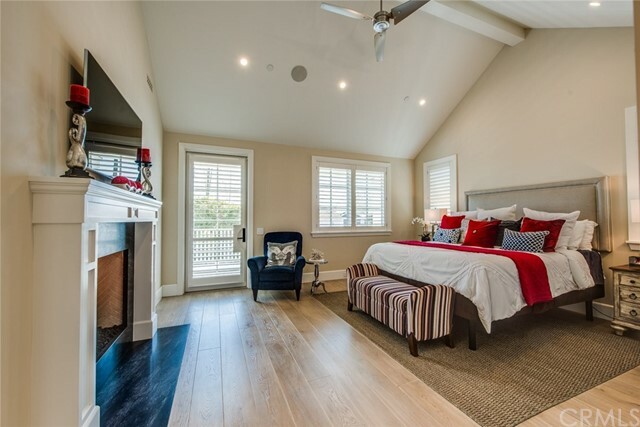 The home’s second floor features a beautiful master suite, which includes a fireplace and its own balcony a walk-in closet with shoe carousel. 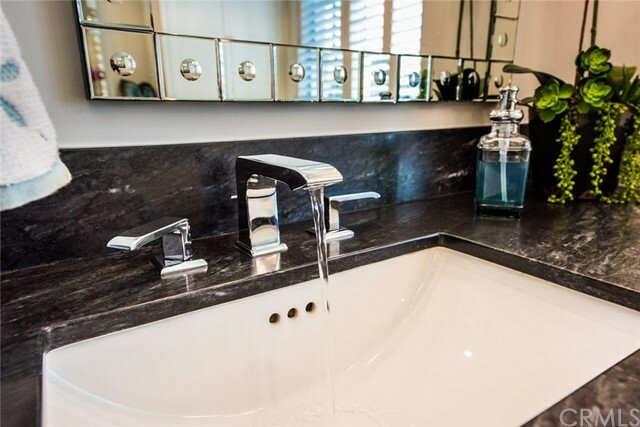 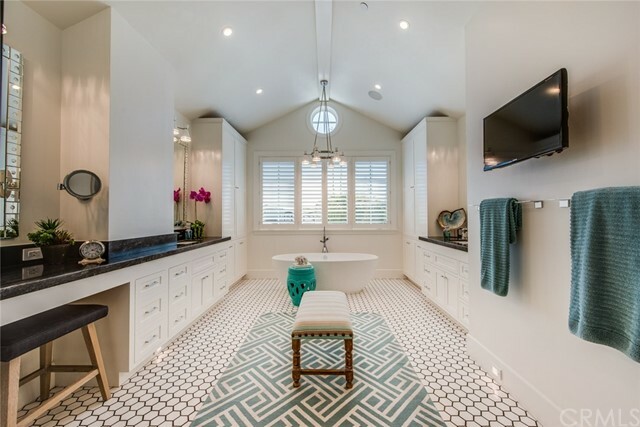 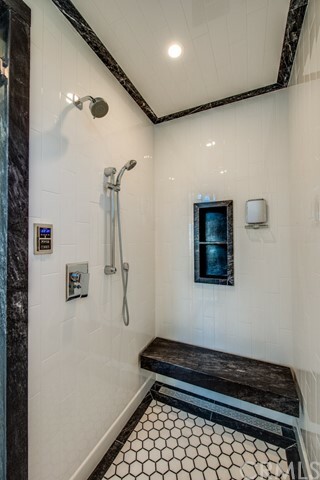 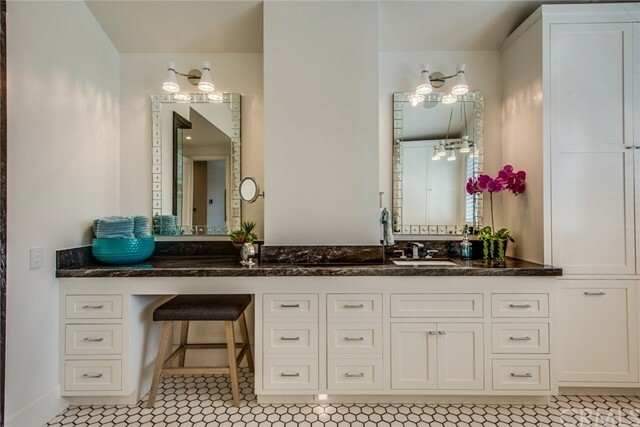 Marble counters and floors a stand-alone tub and oversized steam shower. 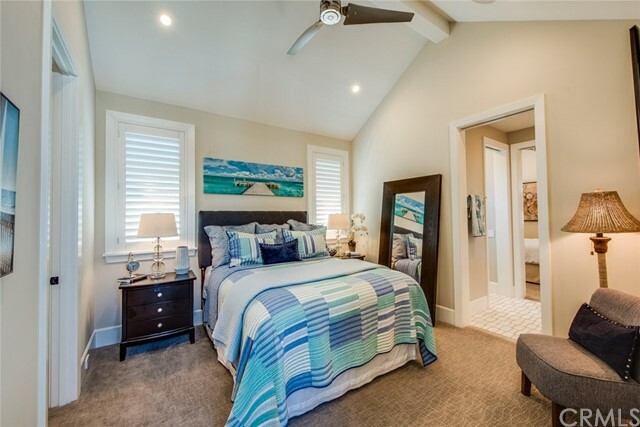 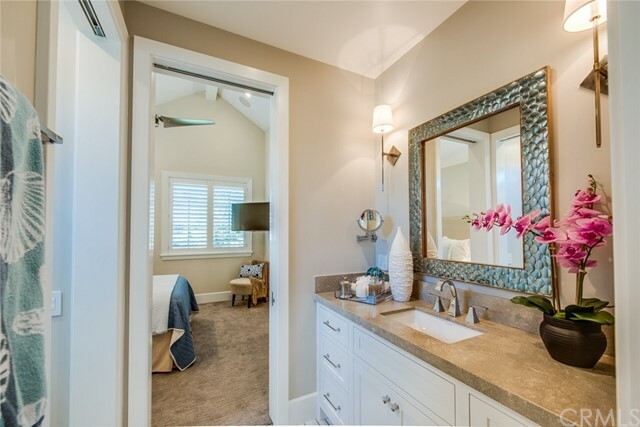 A second guest bedroom features an en suite bathroom. 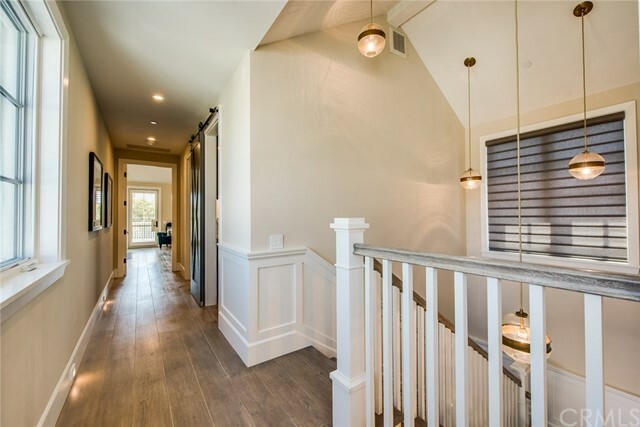 Vaulted ceilings throughout the upper level. 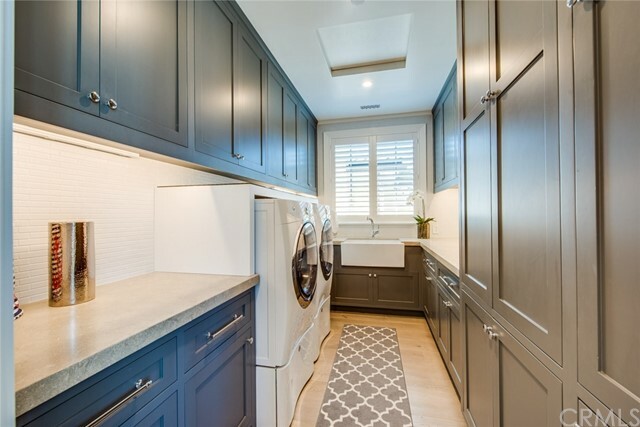 An upstairs office and a laundry room with a custom barn door. 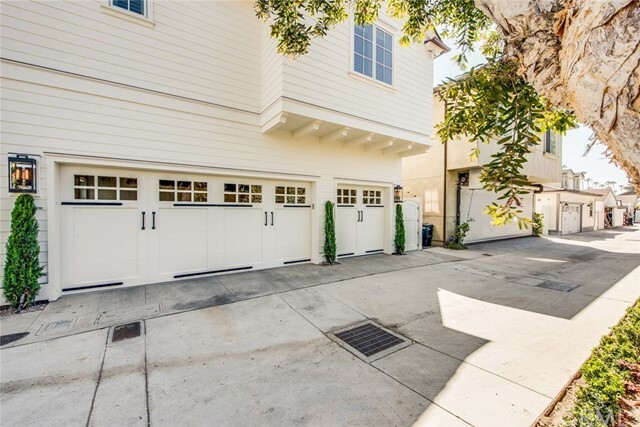 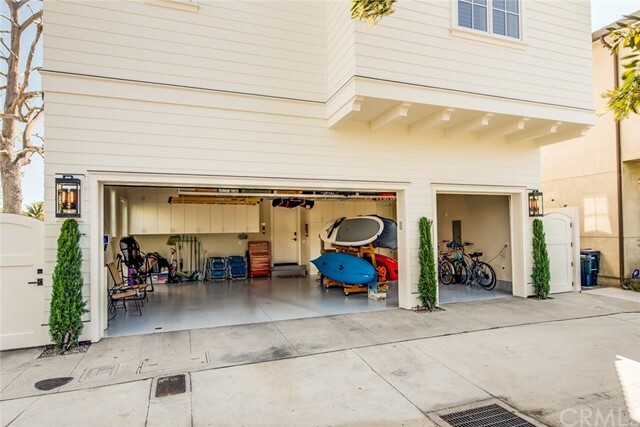 Large three-car garage with cabinets and overhead racking. 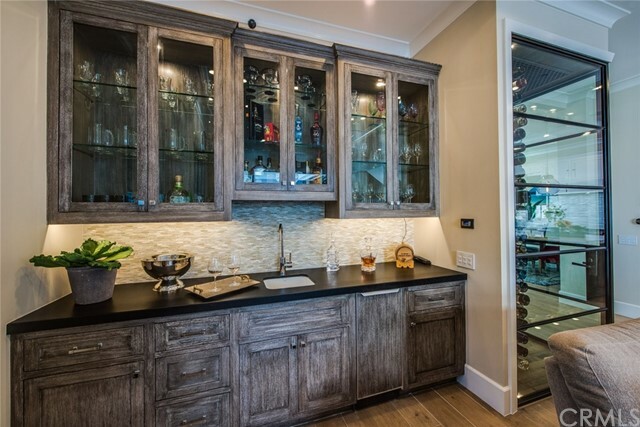 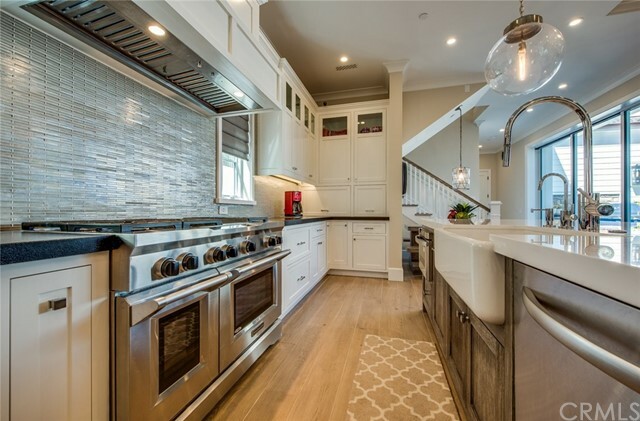 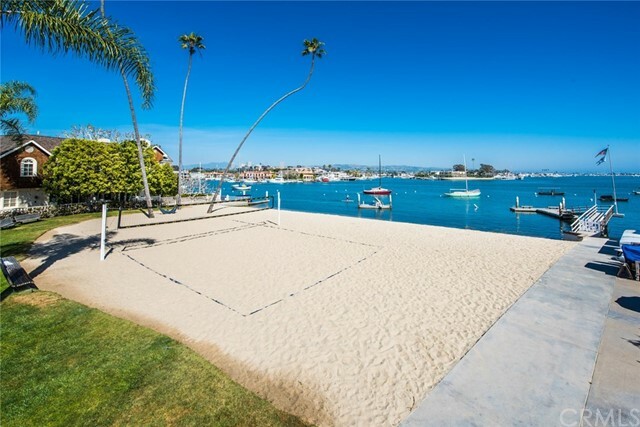 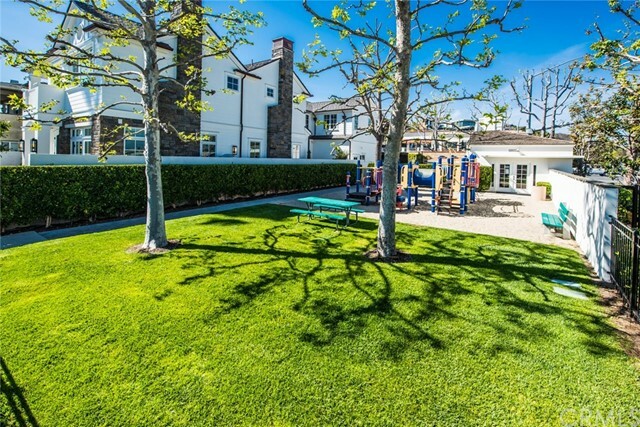 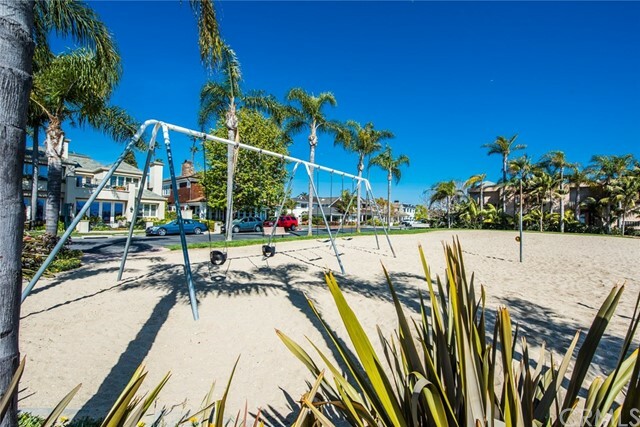 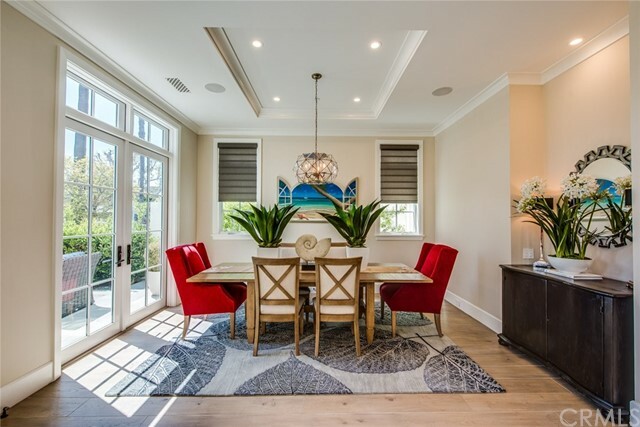 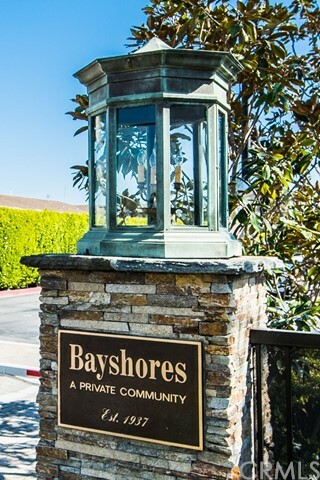 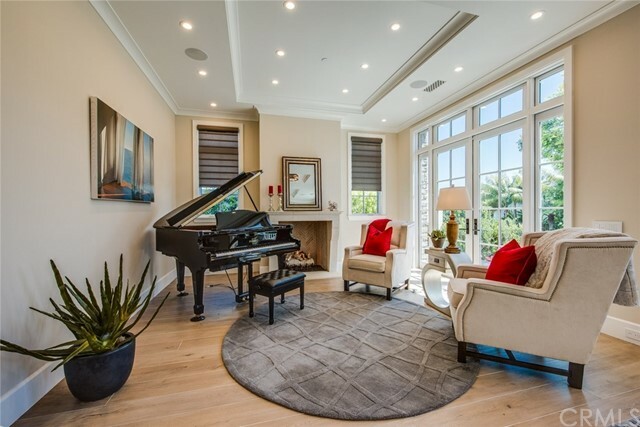 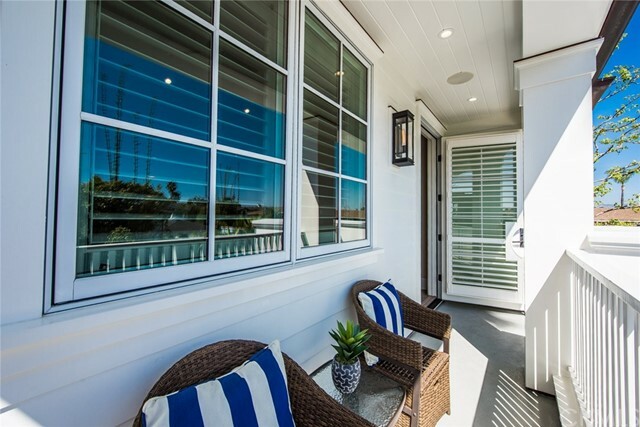 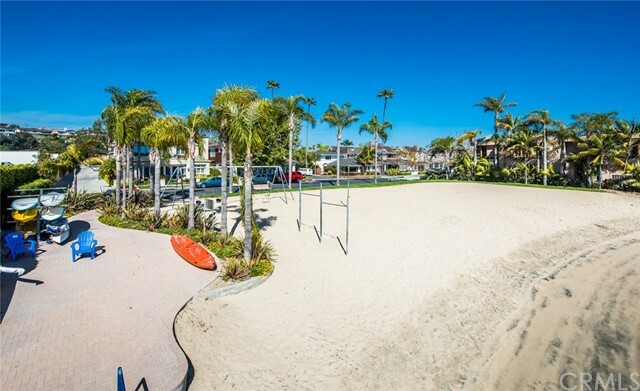 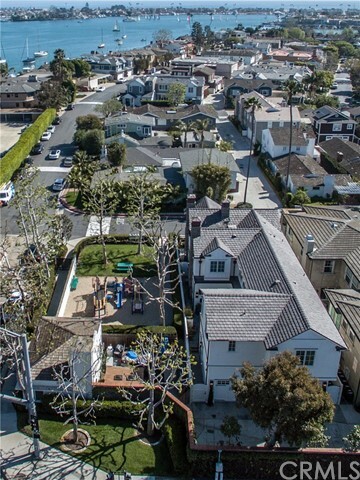 Offering two private beaches with barbecues and volleyball courts, plus a turning basin guest dock and private access to the Balboa Bay Resort, the Bayshores community adds even more appeal to this one-of-a-kind property.